Muslims have been honoured by Allah to be the bearers of His noble book, the Quran. The Quran is a book of knowledge and guidance for all of humanity until Qiyamah. It needs to be recited and understood so that it’s message may be implemented. While Salah is supposed to be a dialogue between a Muslim and his Creator, Allah, many non-Arabic speaking people unfortunately do not understand what they recite in Salah. 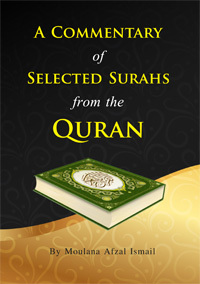 This short book has been compiled so that people may be able to understand those Surahs which are most commonly recited in Salah. Understanding their meanings and pondering over them will greatly improve concentration during Salah.